Palm Harbor Nautical Ventures offers a half-day cruise which is ideal for those who are on a limited schedule but wanted to enjoy the best of the waters of Florida without taking up a whole day! 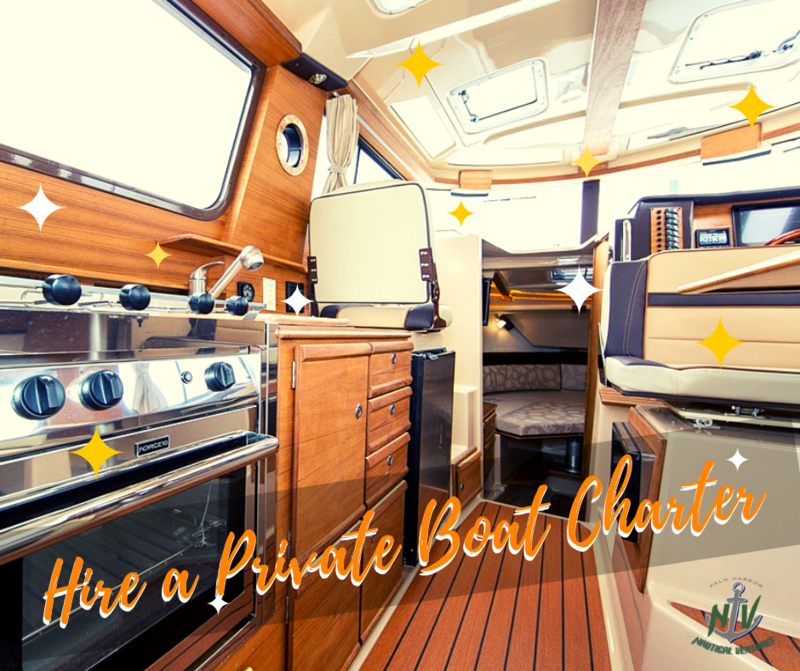 This cruise also provides accommodation offers guests seating in a cabin or in the sunshine on the 2nd story flybridge, wherever you want to relax! With options like Destination Dining or Intracoastal Cruising, Captain Rich will get you safely to your favorite restaurant destination or keep you moving at a nice slow cruise down the Intracoastal while you enjoy your own onboard drinks and snacks. When considering the cost of renting a boat, fuel etc consider hiring a professional Captain at Palm Harbor Nautical Ventures and ensure a great day on the water with our chartered boat! Rich is an avid boater his entire life. He has accumulated thousands of hours operating a variety of boats over the past 20 years.